We’ll help you find the best way optimize your home to quickly get the best price for your home. At Market Source Real Estate the only thing we LOVE more than great clients are amazing old homes. We specialize in the beauties and after owning 21 of them we know what it takes to sell them for top dollar. We offer special discounts to Sellers who Buy and Sell using Market Source Real Estate. Market Source Real Estate was established in 2007. 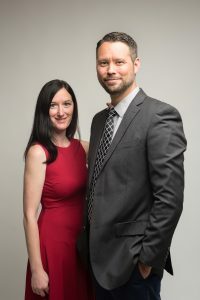 Our owners Monique and Jeremy each have been in the real estate business for over 15 years. We are a full service brokerage that specializes in NEW technology and OLD home construction. We live, work, and love our 9th & 9th and Sugar House Neighborhoods! We know what it takes to sell new and old homes for top dollar in any market. We spend our time and money on listing and marketing your home. We offer a free no obligation consultations on selling new an old homes in the Salt Lake Valley. Great, genuine team committed to knowing the local ins-and-outs of each Salt Lake City neighborhood. True professionals that obviously have a passion for the work. Jeremy and Monique are the perfect real estate agents! They are attentive to your needs, opinions and level of understanding. They are confident and accurate in their assessments, which have proven to be very effective. You cannot go wrong with the Higginson's. Jeremy and Monique met with my husband to discuss changes in our home before we put it on the market. Their plan was so well thought out and didn't cost us an arm and a leg AND made the house sell very quickly once we were ready. I couldn't imagine using anyone else to sell our home and strongly suggest calling them if you are even thinking about it. Jeremy is who I worked with the most and he took care of everything. I can't even begin to thank him enough for that, he made the process so easy for us. We highly recommend calling Jeremy and Monique to buy or sell - they are exceptional at both :) AND very easy to work with - I never felt any pressure, it was all about what would work best for US. I will not consider using anyone else when we are ready to move again (if...we do adore our new home that Jeremy helped us find).